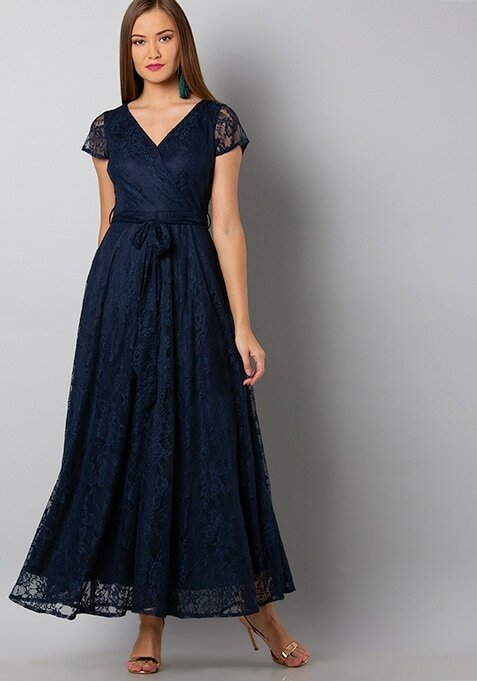 Get that standout statement style in this navy lace maxi dress that's equal parts sensuous and stylish. Featuring V-neck, short sleeves and self fabric belt. Work It: Style it with gilded heels and get a nice hairdo to look party ready.